Phone or email, you can book in seconds, receive a price quote, and our driver will be on their way. Your laundry will be cleaned by Em and her professional team. Em has more than 15 years experience. Do You Pick Up & Deliver FREE? We offer a FREE pick up & Return service within 5km of the Old City. (minimum order 3kg, Outside of this area or minimum weight a surcharge may apply.) Pick up & Return is done between the hours of 8am & 5.30pm. Call 082 180 1303 for collection. Do I have to be there at collection and delivery? 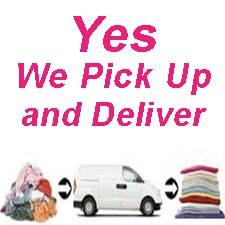 No, we are able to collect from your home, business, hotel, hostel, guesthouse. 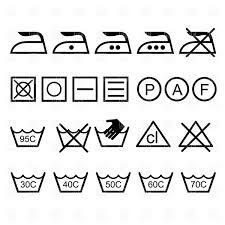 You can tell us where to collect from or leave the laundry with reception. Just let them know we’re coming to pick it up. You can pay when the driver collects (they will weigh your laundry) or we can let you know the final price later when we’ve weighed and checked everything, this way you can pay when we return. 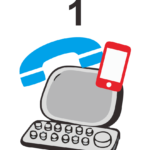 You can even leave payment with your reception or in a safe place if you aren’t going to be around. We also accept paypal. You don’t need to. If you can just take a guess to enable us to send the correct transport. We will weigh your laundry at the shop and let you know the cost. No, we will do that, your laundry is checked, counted and sorted on arrival. 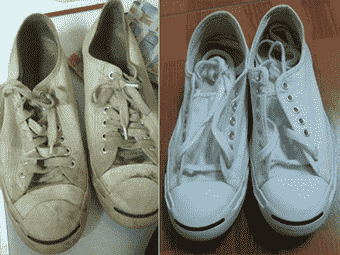 Colours and whites are washed separately. You only need tell us if you need a special process for any particular items. It varies according to your location, just let us know where you are and we will give you a quote. EM’s Laundry Chiang Mai – Original & BEST! 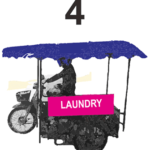 Em's Laundry Chiang Mai is the original and most popular Laundry Service in Chiang Mai! EM's has been taking care of Chiang Mai laundry for more than 15 years. We offer a free pick up and return service to and from your door so it's very easy to use. 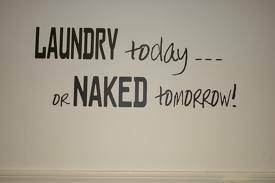 Whether you're here on holiday, or lived here for ever, the last thing you want to be thinking about is laundry, we understand. 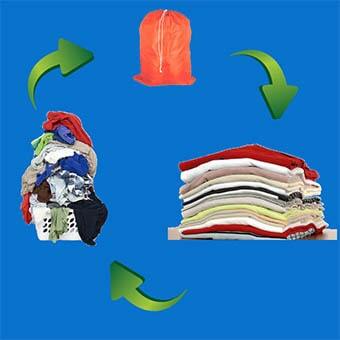 We can take care of every aspect of your laundry from pickup, wash, dry, fold, iron and return. We can even dry clean for those delicate items. Laundry in Chiang Mai has never been easier. And don't worry, we do not use harsh chemicals, so not only are we kind to your clothes, but we are sending love to the environment too! But please note, we are very very busy and if you have items that you are especially concerned about or require special attention and process, you must bring it to our attention! Hara: – 2017/01/22 at 11:20 am :- Thank you for the excellent service! Very quick delivery and the clothes smell amazing!! Highly recommended!! Niäl Ogilvie: – 2017/01/10 at 10:02 pm – Thank you for a fast and efficient service. Nothing lost, everything folded tidy, and all within 24 hours. Couldn’t ask for more! ABB: – 2016/12/18 at 10:05 am – Fast and friendly dry cleaning service when we needed it most! Pick up and delivery with a smile is a bonus. Thank you for your service. Jack Davis:- 2016/11/27 at 7:37 pm – I’ve been using Em’s Laundry for 2 years and it’s by far the best in Chiang Mai . Every facet is professionally done. And Em makes sure that as a customer I’m 100% happy . Not one item has ever been lost . The laundry always comes back perfectly clean and smelling fresh . Don’t waste your time with any other service . I HIGHLY recommend Em’s Laundry. Don’t Throw Them OUT! Give Em’s a shout ! 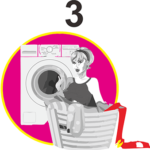 What Makes a Good Laundry? 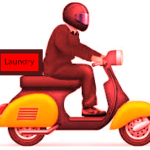 So you’re looking for a good laundry service? Right, well what is that? There are many many laundries and laundry services in Chiang Mai just as there are many massage shops, bottle shops, 7/11’s and of course bars. But what makes a good laundry, and in particular what makes us think we are a good laundry? It starts with an attitude. Em started her laundry service after having worked in other laundries for many years, so she knows laundry. She knows techniques, problems, soap powders, and secrets. She actually cares about her work and the end result. She cares about the service she offers and the customers response, and level of satisfaction that her business gives. This attitude is passed on to her staff in training and continual quality control.